You know how sometimes when you’re browsing through Pinterest something jumps out at you? (like 99% of somethings in my case….) Well this was one of those somethings! 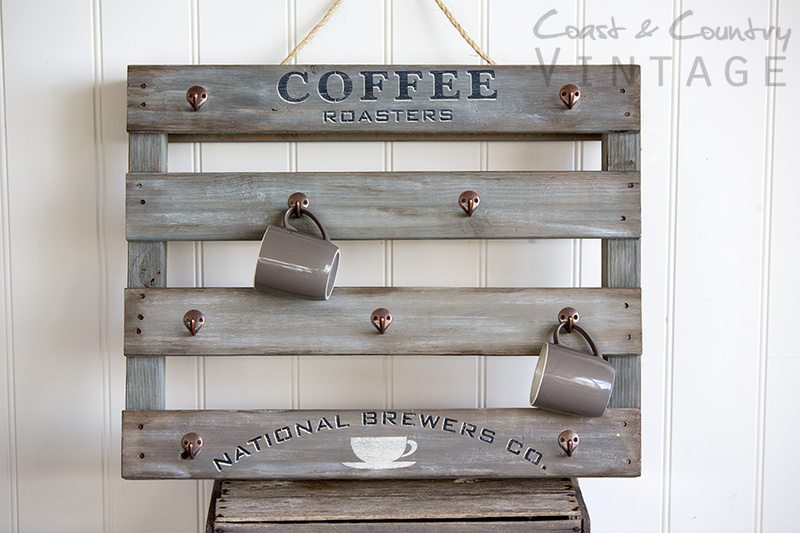 I saw this sweet little coffee mug holder and immediately thought of the mini pallet our new farm pump arrived on earlier that month. You don’t see the mini pallets that often! 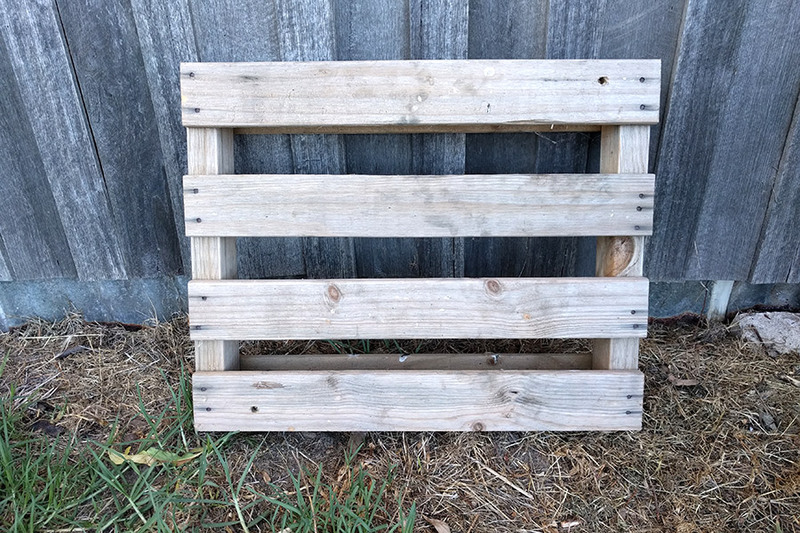 I dragged it out and worked out how many hooks I’d need….went to the hardware and bought them, painted one base coat of Miss Mustard Seed’s Milk Paint in ‘Trophy’ on the pallet….and that was it for about 3 months! Story of my life! But one day I just decided to pull it out and finish it! And it didn’t take too long at all! 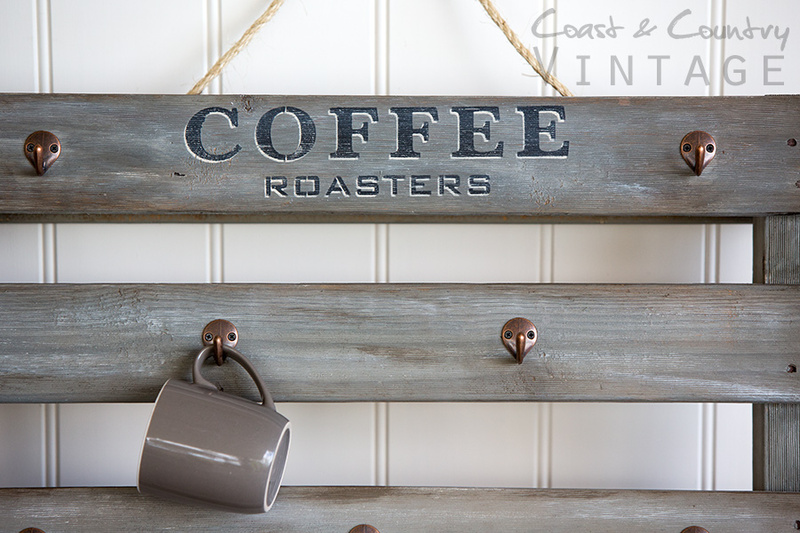 I layered three different colours of Miss Mustard Seed’s Milk Paint in the colours ‘Schloss, ‘Marzipan’ & ‘Ironstone’ to give it an aged wood look instead of boring pine, then used my Coffee Roasters stencil to make it sing! I finished it off with some shading around the edges with Miss Mustard Seed’s Antiquing Wax. 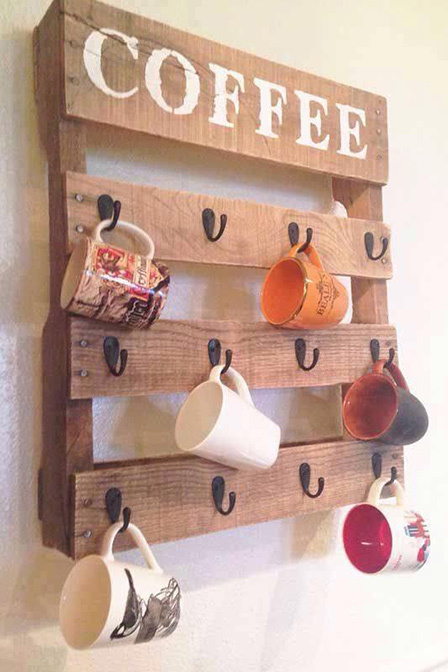 I love quick and easy projects…even if they sometimes take me months! If your one of my International readers (Hi!) and you’d like to source Miss Mustard seed’s Products pop over to Miss Mustard Seed’s WEBSITE to find a stockist near you! I love to receive comments and hear what you think so leave me some love! 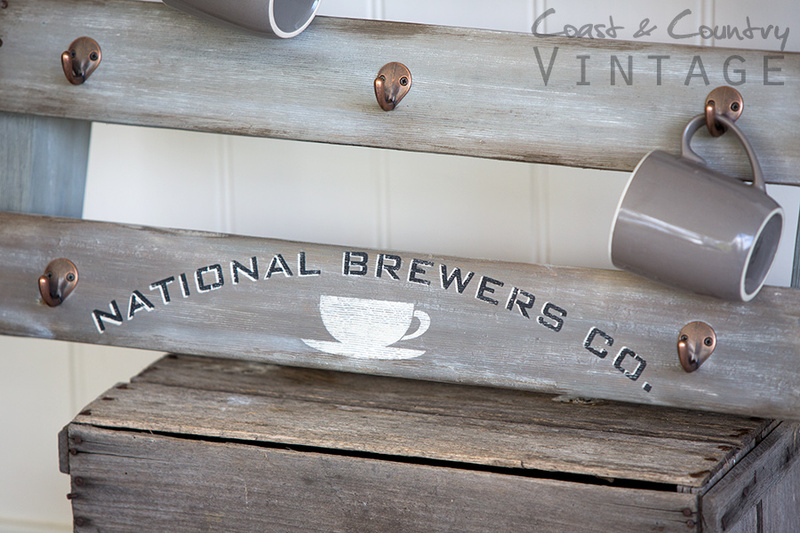 Next Post Sideboard el Fresco!